From Ballet to Tap, to Salsa and more, our Absolute Beginner classes are designed for those who want to invite dance into their lives but have no previous experience. Whether learning a new style of dance has been an all time goal or you are looking for a new, exciting and healthy interest to take on, our Absolute Beginner classes are perfect for you. Learn fundamental techniques and new terminology while learning in a stress-free, supportive and non-competitive environment. Silks is a beautiful combination of circus and dance that has you floating, literally. Sophisticated and elegant, the combination of strength, flexibility and artistry will get you floating on air while toning the entire body. We have two levels for beginners, Aerial Silks for Absolute Beginners and Aerial Silks Level 1. Both courses run in 6-week sessions. Class sizes are limited to ensure you have lots of time on the silks. It's never too late to learn. Our beginner courses in Ballet are designed for the absolute beginner dancer looking to build a strong foundation and learn one of the most classical of dance forms. 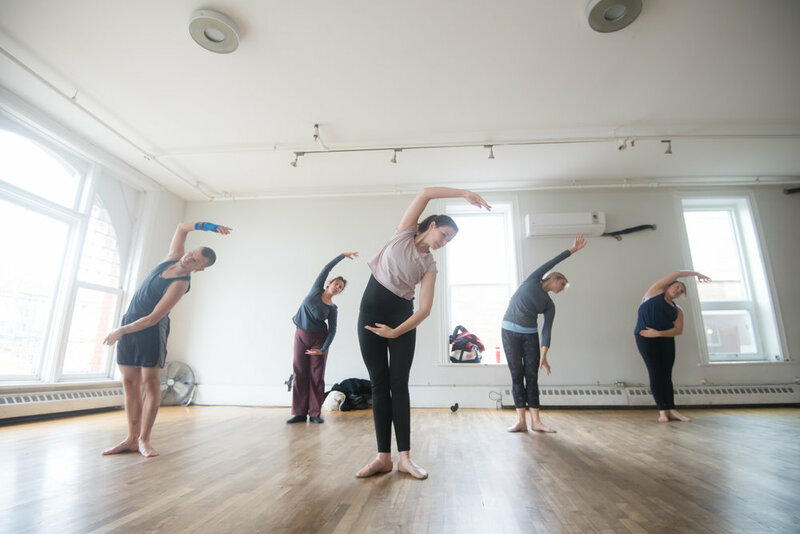 Adults will enjoy learning ballet terminology, technique, and repertoire over this progressive course. Develop confidence, mental concentration, physical coordination and grace. We have two beginner levels, Absolute Beginner and Beginner Level 2. Both courses run in 7-week sessions. We also sell Ballet slippers, tights, bodysuits, leg warmers and more in our shop. If you are new to Tap, or need a refresher because your last tap class was when you were 8, then these courses are perfect for you. Develop confidence, concentration, coordination and musicality in our Tap courses designed for beginners. We have two levels of beginner courses, Tap Absolute Beginner Level 1 and Tap Absolute Beginner Level 2. Both courses run in 7-week sessions. Tap shoes are required. You'll be head over heels in our new Absolute Beginner Acro course. Focus on full body conditioning, flexibility, balance, and strength training through acrobatics. It's never too late to learn cartwheels, back bends and rolls! This course runs in a 7-week session. Discover the foundations of modern dance with techniques rooted in traditional modern dance styles including Graham and Limon. This course is a great start if you are interested in more free form dance styles like Contemporary. This course runs in a 7-week session. Get your sweat on with this high energy class. Danced to house music, the style incorporates moves from several dance genres to get your feet moving to the rhythm. This is a freestyle dance form, however, the course will introduce you to fundamental steps and concepts to get you ready for higher level drop in classes. Learn elements of traditional African dances fused with other dance forms including Afro Beats, House and other dance forms. Build a strong foundation and learn to get your body moving a whole new way. This is a 7-week course. Step into a whole new world with one of the most popular Latin American dances. Argentine Tango is sophisticated yet passionate. This course runs in 4-week sessions and acts a crash course to the fundamentals of Tango, including the basic steps and lead/follow techniques necessary for further learning. No partner required. Our Intro to Salsa class is a great way to get hooked on Salsa and you will be able to dance to a full song after just your first class. Salsa is a fun workout and a great way to meet new people and socialize. It can also be an effective stress reliever and boost your confidence. This class will teach you everything you need to know to get you moving on the dance floor. Intro to Salsa courses run in 4-week sessions. No partner required. Considered the 'slow dance' of social Latin dances, Bachata is a dance born in the Dominican Republic and has increased in popularity over recent years. This dance is sensual, easy to learn and your confidence on the dance floor will be boosted after your first class. Intro to Bachata runs in 4-week sessions. No partner required.